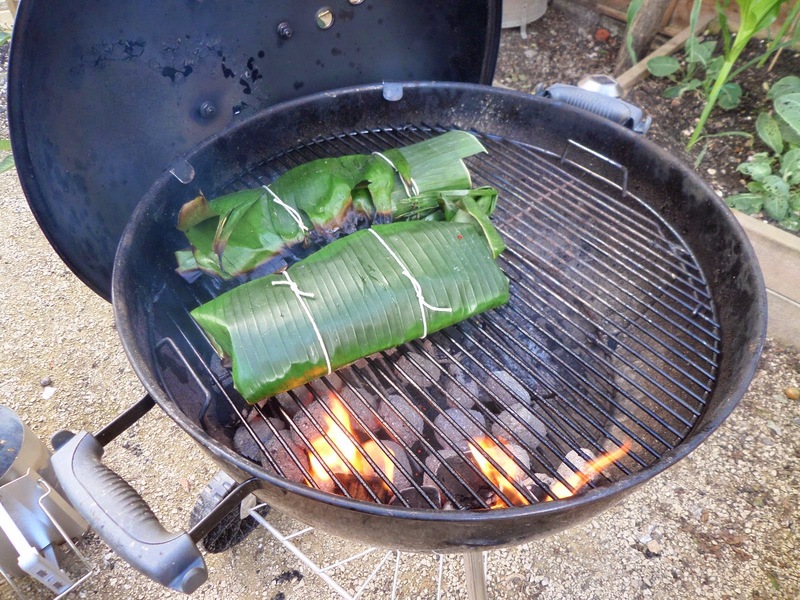 I recently noticed that you can get banana leaves in the Chinese supermarket near work, so I’ve decided to try grilling a fish in them. I’m just going to follow this Serious Eats recipe and serve with BBQ grilled plantain & a bulgar wheat salad based on another Serious Eats recipe, plus grilled flatbreads. Anyway, back to the fish. I ended up plumping for a red tilapia. I knew tilapia were sustainably-farmed fish, probably because they’r every popular in America and I listen to a lot of American food shows, but wasn’t sure about the red part. A quick Google in the pub informed me it’s not a separate breed, but just a colouring caused by what they’re fed. 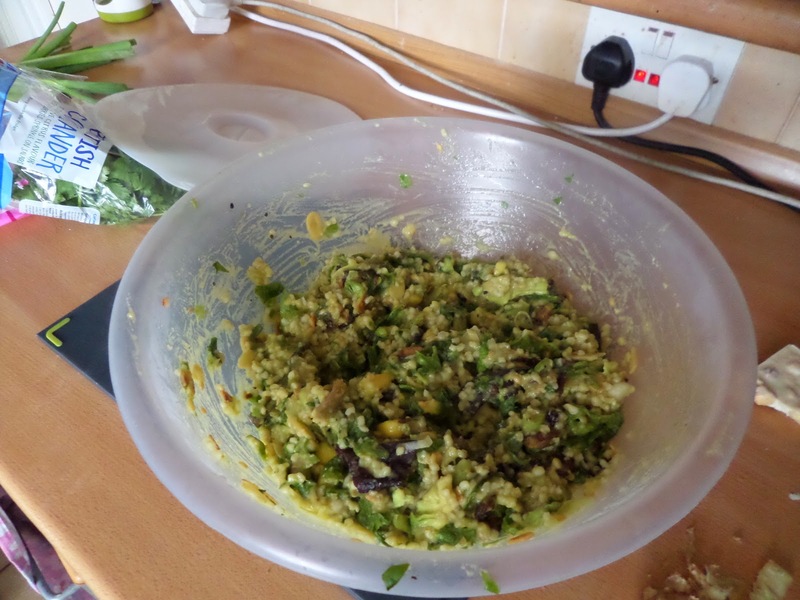 So… salad gets made first. 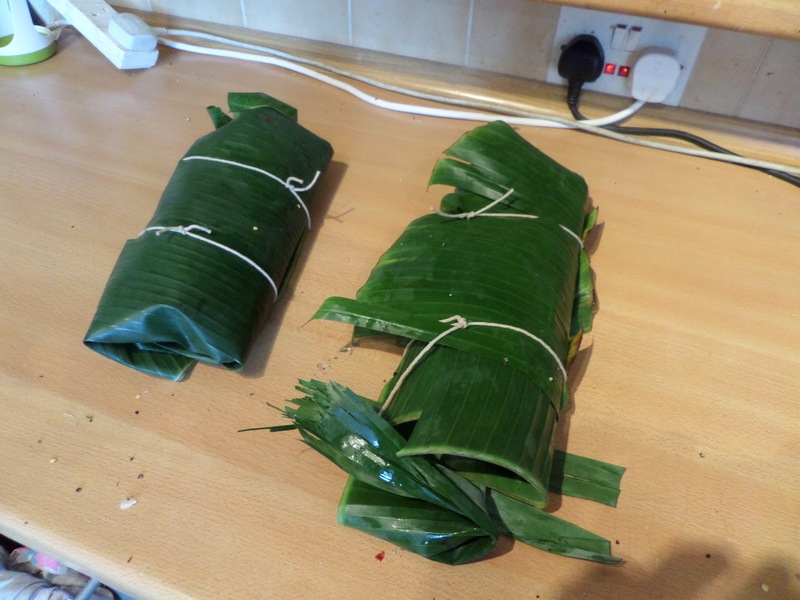 Then fish are wrapped in the banana leaves and tied with wet string. 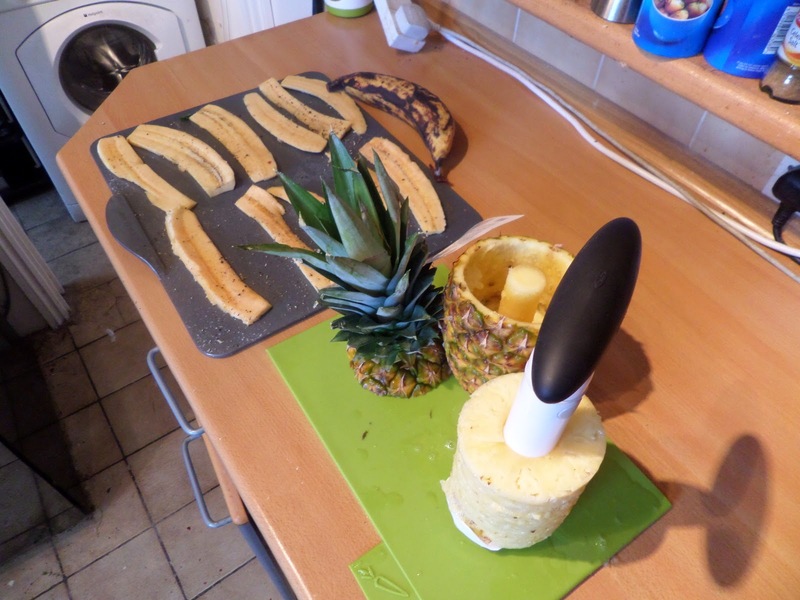 And plantain & pineapple are prepped. 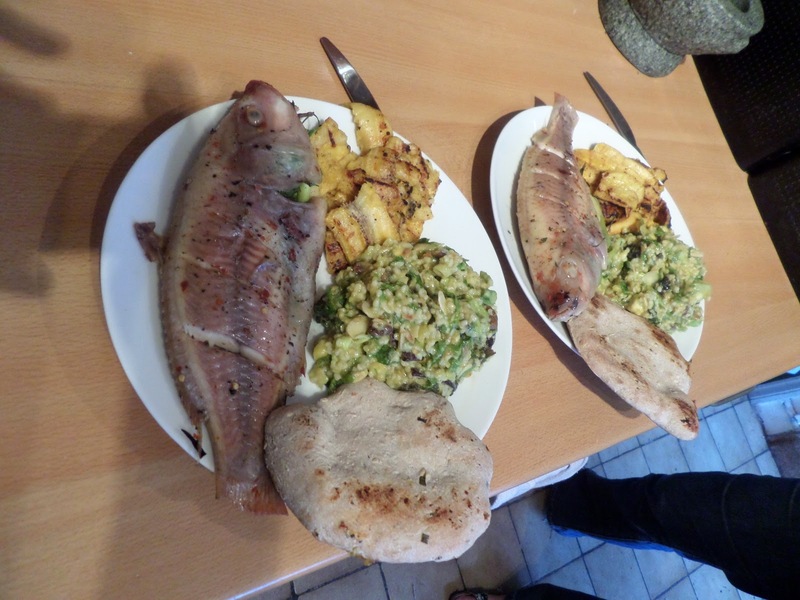 After another ten minutes the fish goes off to rest while the plantain grills and the flatbreads char up. So… how did it turn out? 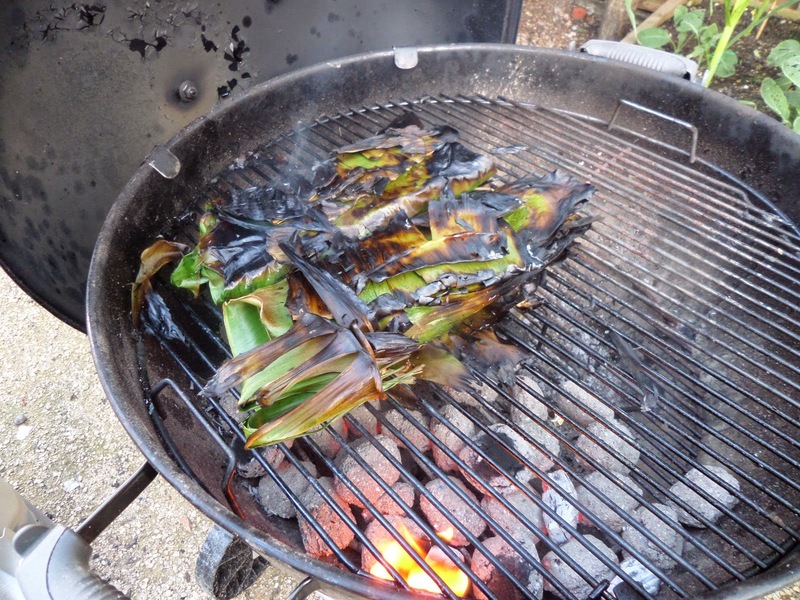 Well… the fish isn’t charred at all. 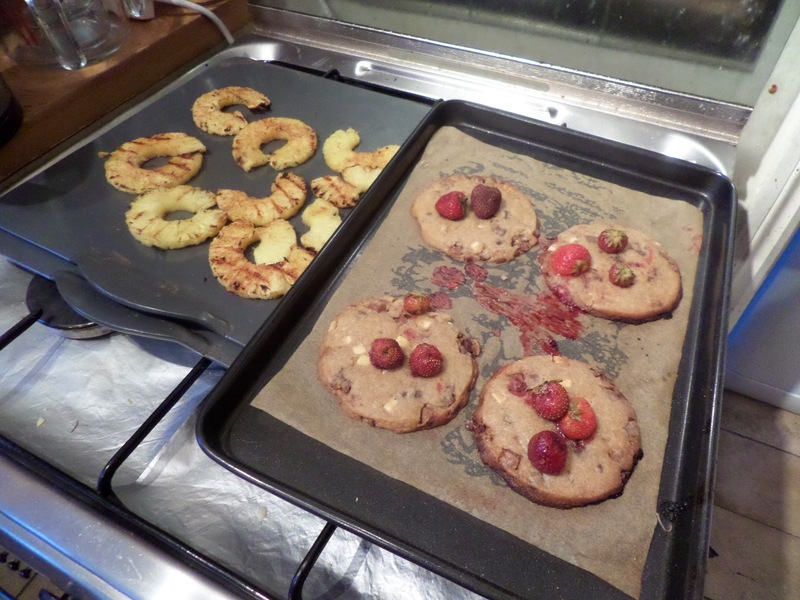 It’s cooked perfectly… but lacking charring. Too many banana leaves I guess, but better safe than sorry for the first time. Next time, it’s a single leaf, instead of two of them per fish. 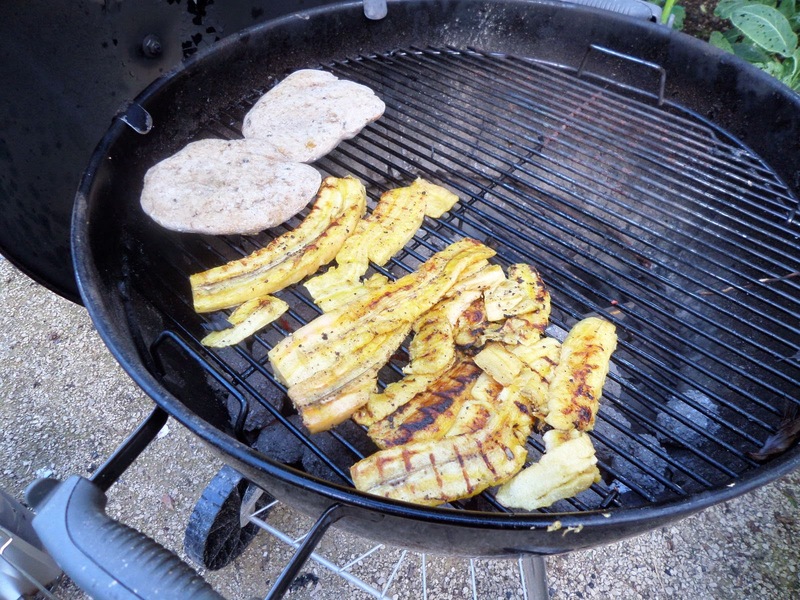 The plantain is, as always on the BBQ, deliciously caramelised, and it amazing with some salad in the flatbread. 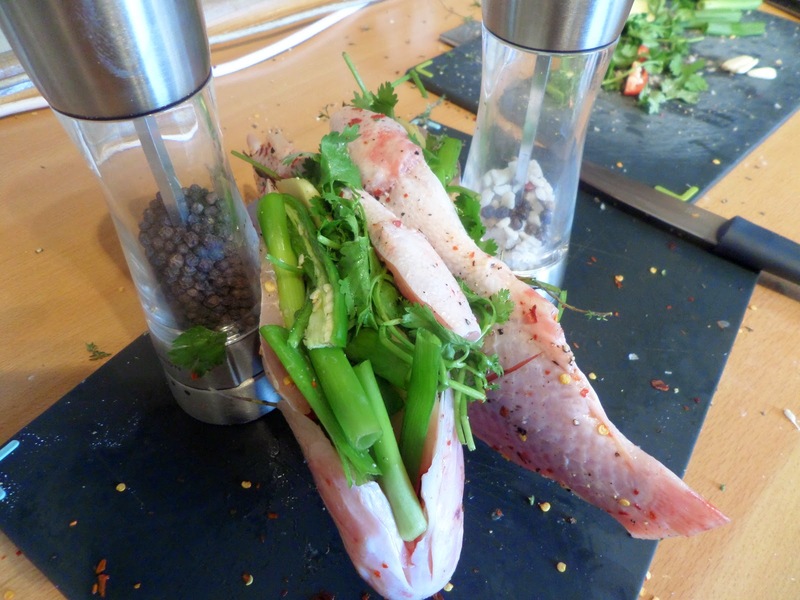 The fish is lovely and soft and fleshy, infused with the filling… but it does have lots of bones and is missing the smoke and char from the BBQ. So… all of our fruit quotient, half of our veg quotient, plus sustainable fish for our protein… I think we can chalk that down as a healthy and ethical dinner! Most commendable and looks good too.